Amsterdam, 27 June 2017 – With the new 90 Series, display specialist AOC announces five new monitors of its Pro-line. These monitors ranging from 24-inch to 27-inch sizes and equipped with the advanced IPS panels with wide colour gamut are aimed at businesses and demanding prosumers. Users will appreciate their sleek 3-sided frameless design for seamless multiple monitor set-ups. 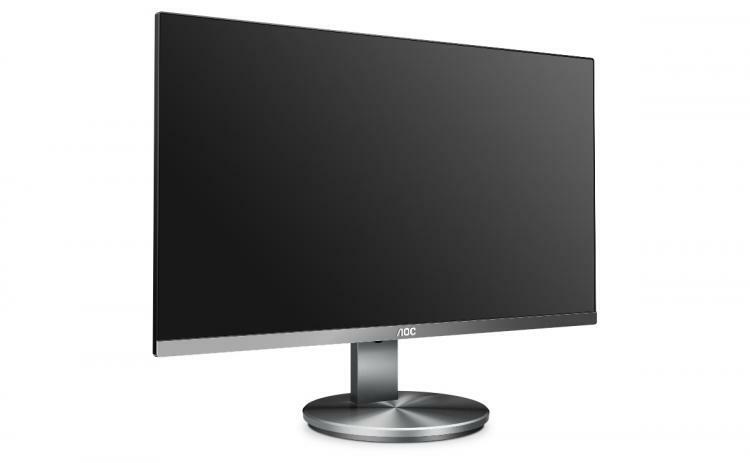 AOC’s eye-protecting features reduce discomfort for users working long hours, and the monitors’ high energy-efficiency helps to reduce costs and users’ carbon footprint. Three of the new models are also equipped with an ergonomic and easily mountable stand. 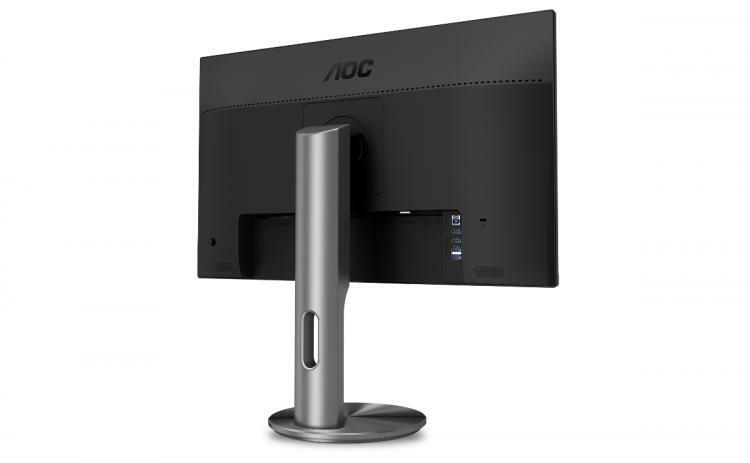 The five new additions to the AOC business monitor portfolio come in two sizes: the 24-inch I2490VXQ and I2490PXQU, and the 27-inch I2790VQ, I2790PQU and Q2790PQU. Boasting a 3-sided frameless design, these monitors bring freshness to users’ desktops with their elegant gunmetal finish on the stand and lower bezel. Thanks to the almost invisible bezels on the sides, they are a perfect fit for seamless multi-monitor setups. Two or even more of these displays side-by-side offer a considerable boost in desktop space, which in turn can help increase productivity. The more affordable I2490VXQ and I2790VQ come equipped with a basic stand, whereas the I2490PXQU, I2790PQU and the Q2790PQU are fitted with an ergonomically adjustable stand, which can be easily detached without a screwdriver. A range of options including 130 mm height adjustment, -5°/+25° tilt, &#8209;165°/+165° swivel and 90° rotation (pivot) ensure a high level of working comfort suited to each user’s individual needs.